Admiral of the Fleet Louis Francis Albert Victor Nicholas George Mountbatten, 1st Earl Mountbatten of Burma, KG, GCB, OM, GCSI, GCIE, GCVO, DSO, PC (June 25, 1900 – August 27, 1979), was a British admiral and statesman, a great grandson of Queen Victoria and an uncle of Prince Philip, Duke of Edinburgh. After serving as Supreme Allied Commander of the Southeast Asia Theater during World War II, during which Burma was retaken from Japan, he was appointed the last Viceroy and first Governor-General of independent India, and First Sea Lord, as was his father, Prince Louis of Battenberg. In India, he enjoyed excellent relations with Jawaharlal Nehru and amicable relations with Mahatma Gandhi but was unable to avoid the Partition of India, although he would have preferred to leave India intact. He later became a mentor to his great-nephew, Prince Charles. He championed inter-cultural understanding through such initiatives as the United World Colleges. He may qualify as the most respected British Viceroy of India in post-colonial India, Pakistan, and Bangladesh. Mountbatten was assassinated by the Provisional Irish Republican Army (IRA), who planted a bomb in his boat at Mullaghmore, County Sligo in the Republic of Ireland. Born to privilege, Mountbatten was a hard-working career public servant who did not always please everyone (such as Canadians, following the controversial Dieppe Raid of August 19, 1942). However, when he died, he was a popular figure in Britain. His murder, widely viewed as a cowardly act, may actually have helped the peace process in Northern Ireland, alienating some who had supported violence to back diplomacy instead. Mountbatten was born in Frogmore House, Windsor, in England, as His Serene Highness Prince Louis of Battenberg, although his German styles and titles were dropped in 1917. He was the youngest child and the second son of Prince Louis of Battenberg and his wife, Princess Victoria of Hesse and by Rhine. His maternal grandparents were Ludwig IV, Grand Duke of Hesse and by Rhine and Princess Alice of the United Kingdom, who was a daughter of Queen Victoria of the United Kingdom and Prince Albert of Saxe-Coburg and Gotha. 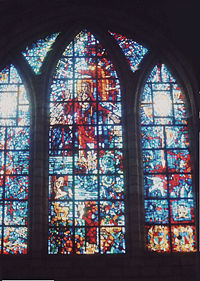 His paternal grandparents were Prince Alexander of Hesse and Princess Julia of Battenberg. His siblings were Princess Alice (mother of Prince Philip, Duke of Edinburgh), Queen Louise of Sweden, and George Mountbatten, 2nd Marquess of Milford Haven. His father was First Sea Lord at the outbreak of the First World War, but the prevailing extreme anti-German feelings obliged him to resign. In 1917, when the Royal Family stopped using their German names and titles, Prince Louis of Battenberg became Louis Mountbatten, and created Marquess of Milford Haven. His second son acquired the courtesy style Lord Louis Mountbatten and was known as Lord Louis informally until his death, notwithstanding his being granted a viscountcy in recognition of his wartime service in the Far East and an earldom for his role in the transition of India from British dependency to sovereign state. In childhood, he visited the Imperial Court of Russia at St Petersburg and became intimate with the doomed Imperial Family; in later life, he was called upon authoritatively to rebut claims by pretenders to be the supposedly surviving Grand Duchess Anastasia. As a young man, he had romantic feelings towards Anastasia's sister, the Grand Duchess Maria, and until the end of his own life he kept her photograph at his bedside. After his nephew's change of name and engagement to the future Queen, he is alleged to have referred to the United Kingdom's dynasty as the future "House of Mountbatten," whereupon the Dowager Queen Mary reportedly refused to have anything to do with "that Battenberg nonsense," and the name of the Royal house remains Windsor by subsequent Royal decree—this can, however, be changed on the Monarch's wishes. In the Second World War he commanded the 5th Destroyer Flotilla. His ship, the destroyer HMS Kelly, was famous for many daring exploits. In early May 1940, Mountbatten led a British convoy in through the fog to evacuate the Allied forces participating in the Namsos campaign. In 1940, he invented the Mountbatten Pink naval camouflage pigment. His ship was sunk in May 1941, during the Crete Campaign. In August 1941, Mountbatten was appointed captain of HMS Illustrious, which lay in Norfolk, Virginia, for repairs following action at Malta in the Mediterranean in January. During this period of relative inactivity he paid a flying visit to Pearl Harbor, where he was not impressed with the poor state of readiness and a general lack of cooperation between the U.S. Navy and U.S. Army, including the absence of a joint HQ. Mountbatten was a favorite of Winston Churchill (although after 1948, Churchill never spoke to him again since he was famously annoyed with Mountbatten's later role in the independence of India and Pakistan) and on October 27, 1941, Mountbatten replaced Roger Keyes as Chief of Combined Operations. He personally pushed through the disastrous Dieppe Raid of August 19, 1942 (which certain elements of the Allied military, notably Field Marshal Montgomery, felt was ill-conceived from the start). The raid on Dieppe was widely considered to be a disaster, with casualties (including those wounded and/or taken prisoner) numbering in the thousands, the great majority of them Canadians. Historian Brian Loring Villa concluded that Mountbatten conducted the raid without authority, but that his intention to do so was known to several of his superiors, who took no action to stop him. Mountbatten claimed that the lessons learned from the Dieppe Raid were necessary for planning the Normandy invasion. However, military historians, such as former Royal Marine Julian Thompson, have written that these lessons should not have needed a debacle such as Dieppe to be recognized. As a result, Mountbatten became a controversial figure in Canada, with the Royal Canadian Legion distancing itself from him during his visits there during his later career; his relations with Canadian veterans "remained frosty." Mountbatten's perceived callousness, and that of other prominent figures, towards Canadian forces served to encourage Canada's increasing distancing of itself from Britain in the postwar years. Nevertheless, a Royal Canadian Sea Cadet corps (RCSCC #134 Admiral Mountbatten in Sudbury, Ontario) was named after him in 1946. In late 1942, Mountbatten proposed Project Habakkuk to Churchill; the Pykrete supercarrier project was never completed. In October 1943, Churchill appointed Mountbatten the Supreme Allied Commander South East Asia Theatre. Characteristically, he set up an elaborate headquarters in the Royal Palace at Kandy, Sri Lanka, although the American generals proved unimpressed. His less practical ideas were sidelined by an experienced planning staff led by Lt-Col. James Allason, though some, such as a proposal to launch an amphibious assault near Rangoon, got as far as Churchill before being quashed. He would hold the post until the South East Asia Command (SEAC) was disbanded in 1946. During his time as Supreme Allied Commander of the Southeast Asia Theatre, his command oversaw the recapture of Burma from the Japanese by General William Slim. Here, he worked closely with esteemed American general Albert Coady Wedemeyer. His diplomatic handling of General "Vinegar Joe" Stilwell, his deputy—and also the officer commanding the American China Burma India Theatre—and Generalissimo Chiang Kai-shek, leader of the Chinese Nationalist forces, was as gifted as that of General Eisenhower with General Montgomery and Winston Churchill. A personal high point was the reception of the Japanese surrender in Singapore when British troops returned to the island to receive the formal surrender of Japanese forces in the region led by General Itagaki Seishiro on September 12, 1945, codenamed Operation Tiderace. He developed a strong relationship with the Indian princes, who were said to have considerable confidence in him, and on the basis of his relationship with the British monarchy persuaded most of them to accede to the new states of India and Pakistan. This was vitally important in the lead-up to Indian independence, though ultimately post-Independence India and Pakistan abolished their prerogatives. Transfer of power. 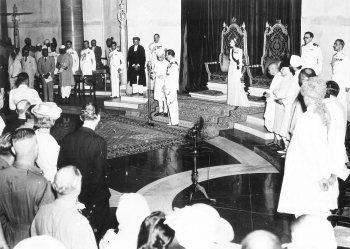 Mountbatten and Nehru at the microphone; Edwina in front of her throne. Viceroy's House, August 15, 1947. With his strong friendship with Jawaharlal Nehru and amicable relations with Mahatma Gandhi but inability to work his famous charm on Muhammad Ali Jinnah, Mountbatten quickly gave up hope of salvaging a unified independent India, becoming resigned to Partition into a post-Independence Pakistan and India. After Independence (midnight of August 14, 1947, celebrated on the 14th in Pakistan and the 15th in India) he remained in New Delhi for ten months, serving as the first of independent India's two governors general until June 1948 (the monarchy being abolished in 1950, and the office of governor general of India replaced with a non-executive presidency). Mountbatten advised India and Pakistan to allow the United Nations to mediate their dispute about Kashmir. John Kenneth Galbraith, the Canadian-American Harvard economist, who advised governments of India during the 1950s, became an intimate of Nehru and served as the American ambassador from 1961-63, was a particularly harsh critic of Mountbatten in this regard. The horrific casualties of the partition of the Punjab are luridly described in Collins' and LaPierre's Freedom at Midnight and more recently in Bapsi Sidhwa's novel, Ice Candy Man (published in the U.S. as Cracking India), made into the film Earth. In all renderings of the appalling carnage that followed the Partition, Lady Mountbatten is universally praised for her heroic efforts in relieving the misery and to this day she remains a heroine of the Partition period in India. It is claimed that in 1967, Mountbatten attended a private meeting with press baron and MI5 agent Cecil King, and the Government's chief scientific adviser, Solly Zuckerman. King wanted to stage a coup against the then crisis-stricken Labour Government of Harold Wilson, and urged Mountbatten to become the leader of a Government of national salvation. Mountbatten apparently considered the idea of heading the coup, but Zuckerman pointed out that it was treason, and the idea came to nothing because of Mountbatten's reluctance to act. Claims of an MI5 plot against Wilson have been investigated a number of times and no credible evidence discovered. From 1967 until 1978, Mountbatten became president of the United World Colleges Organization, then represented by a single college: that of Atlantic College in South Wales. Mountbatten supported the United World Colleges and encouraged heads of state, politicians and personalities throughout the world to share his interest. Under Mountbatten's presidency and personal involvement, the United World College of South East Asia was established in Singapore in 1971, followed by the UWC of the Pacific in Canada in 1974. In 1978, Lord Mountbatten of Burma passed the Presidency to his great-nephew, HRH The Prince of Wales. Mountbatten's nickname among family and friends was "Dickie," notable in that "Richard" was not among his given names. Mountbatten was married on July 18, 1922, to Edwina Cynthia Annette Ashley, daughter of Wilfred William Ashley, later 1st Baron Mount Temple, himself a grandson of the 7th Earl of Shaftesbury. She was the favorite granddaughter of the Edwardian magnate Sir Ernest Cassel and the principal heir to his fortune. There followed a glamorous honeymoon tour of European courts and America which famously included a visit with Douglas Fairbanks, Mary Pickford, and Charlie Chaplin in Hollywood, Chaplin creating a widely seen home movie Nice and Easy, featuring the talents of Fairbanks, Pickford, himself, and the Mountbattens. They had two daughters: Patricia Mountbatten, 2nd Countess Mountbatten of Burma (born on February 14, 1924) and Lady Pamela Carmen Louise (Hicks) (born on April 19, 1929). Lady Mountbatten died at age 58 on February 21, 1960, in Jesselton (modern Kota Kinabalu), North Borneo (modern Malaysian state of Sabah); as documented in the official biography by Philip Ziegler, the marriage had been stormy throughout, with adulterous dalliances on both parts. Both husband and wife readily admitted to several affairs, particularly during the 1930s; Lady Mountbatten's intimacy with Nehru has long been well known; and both Mountbatten daughters have candidly acknowledged that their mother had a fiery temperament and was not always supportive of her husband when jealousy of his high profile overbore a sense of their having common cause. During the Indian viceroyalty, in particular, Mountbatten's evenings were often given over to assuaging his wife's feelings of angry resentment. Recently, A.N. Wilson in his well-regarded After the Victorians: 1901–1953 has asserted that Mountbatten himself carried on affairs with lovers of both sexes and that he was known to friends as "Mountbottom." A small item in Private Eye magazine regarding drunken naval ratings at Mountbatten's London home, and which alluded to Mountbatten's bisexuality, was widely commented upon. Mountbatten's official biographer wrote that he could find nothing to support the allegation, but several eyewitness accounts supporting Private Eye were later published. Since Mountbatten had no sons, when he was created Viscount on August 23, 1946, then Earl and Baron on October 28, 1947, the Letters Patent were drafted such that the titles would pass to the female line and its male issue. This was at his firm insistence: His relationship with his elder daughter had always been particularly close and it was his special wish that she succeed to the title in her own right. There was longstanding precedent for such remainders for military commanders: Past examples included the 1st Viscount Nelson and the 1st Earl Roberts. It also acknowledged the regard in which he was held by the British Royal Family—although the Sarah Bradford biography of King George VI: The Reluctant King, indicates clearly that the King was not without a degree of droll awareness of his cousin's famous name-dropping as to his Royal connection—as well as to atone for the disservice done to his father. Thus, on his death in 1979, the titles passed to Patricia as he had wished. Mountbatten was a strong influence in the upbringing of his great-nephew, The Prince of Wales, and later as a mentor—"Honorary Grandfather" and "Honorary Grandson," they fondly called each other according to the Jonathan Dimbleby biography of the Prince—though according to both the Ziegler biography of Mountbatten and the Dimbleby biography of the Prince the results may have been mixed: He from time to time strongly upbraided the Prince for showing tendencies towards the idle pleasure-seeking dilettantism of his predecessor as Prince of Wales, King Edward VIII, later known as the Duke of Windsor, whom Mountbatten had known well in their youth; but he also encouraged the Prince to enjoy the bachelor life while he could and then to marry a young and inexperienced girl so as to ensure a stable married life. Mountbatten's qualification for offering advice to this particular heir to the throne was unique; it was he who had arranged the visit of George VI and Queen Elizabeth to Dartmouth Royal Naval College on July 22, 1939, taking care to include the young Princesses Elizabeth and Margaret in the invitation, but assigning his nephew, Cadet Prince Philip of Greece, to keep them amused while their parents toured the facility. This was the first recorded meeting of Charles's future parents. But a few months later, Mountbatten's efforts nearly came to naught, when he received a letter from his sister Alice in Athens informing him that Philip was visiting her and had agreed to permanently repatriate to Greece. Within days, Philip received a command from his cousin and sovereign, King George II of the Hellenes, to resume his naval career in Britain which, though given without explanation, the young prince obeyed. 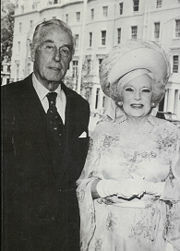 In 1974, Mountbatten began corresponding with Charles about a potential marriage to his granddaughter, Hon. Amanda Knatchbull. It was about this time he also recommended that the 25 year old prince get on with sowing some wild oats. Charles dutifully wrote Amanda's mother (who was also his godmother), Lady Brabourne, about his interest. Her answer was supportive, but advised him that she thought her daughter still rather young to be courted. Four years later, Mountbatten secured an invitation for himself and Amanda to accompany Charles on his planned 1980 tour of India. Their fathers promptly objected: Prince Philip thought that the Indian public's reception would more likely reflect response to the uncle than to the nephew. Lord Brabourne counseled that the intense scrutiny of the press would be more likely to drive Mountbatten's godson and granddaughter apart than together. Mountbatten usually holidayed at his summer home in Mullaghmore, County Sligo, a small seaside village between Bundoran, County Donegal and Sligo, County Sligo on the northwest coast of Ireland. Bundoran was a popular holiday destination for volunteers of the IRA, many of whom were aware of Mountbatten's presence and movements in Mullaghmore. Despite security advice and warnings from the Garda Síochána, on August 27, 1979, Mountbatten went sailing in his thirty-foot wooden boat, the Shadow V, which was moored in the small harbor at Mullaghmore. The IRA had earlier fitted a radio controlled fifty-pound bomb which was detonated before the boat reached Donegal Bay. Others killed in the blast were Nicholas Knatchbull, his elder daughter's 14 year old son, Paul Maxwell, a 15 year old youth from County Fermanagh who was working as a crew member and Baroness Brabourne, his elder daughter's 83 year old mother-in-law who was seriously injured in the explosion, and died from her injuries the following day. On the same day Mountbatten was assassinated, the IRA also ambushed and killed eighteen British Army soldiers, sixteen of them from the Parachute Regiment at Warrenpoint, County Down, in what became known as the Warrenpoint ambush. He had an abiding interest in and involvement with India. On his return home in 1948, he helped to create and run the Jawaharlal Nehru Fund to send Indian students to study in Britain. An extraordinary personality, he will always occupy a place of honor among India's friends and well wishers, Indian Posts and Telegraphs Department is privileged to issue a commemorative stamp in his honor. His legacy of public service is one from which others born to privilege can learn. He did not have to accept every post he was offered but he wanted to engage in meaningful activity rather than tin what he thought of as the trivial pursuits of the idle rich. The President of Ireland, Patrick Hillery, and the Taoiseach, Jack Lynch, attended a memorial service for Mountbatten in St. Patrick's Cathedral in Dublin. Royalty and leaders from around the world attended. Mountbatten was buried in Romsey Abbey after a televised funeral in Westminster Abbey which he himself had comprehensively planned. The Archbishop of Canterbury conducting the service described him as "so rare a person." On November 23, 1979, Thomas McMahon was convicted of murder for his part in the bombing and later was released in 1998 under the terms of the Good Friday Agreement. On hearing of Mountbatten's death, the then Master of the Queen's Music, Malcolm Williamson, was moved to write the beautiful but intense Lament in Memory of Lord Mountbatten of Burma for violin and string orchestra. One of the most poignant of tributes paid to Mountbatten, the 11-minute work was given its first performance on 5th May 1980 by the Scottish Baroque Ensemble, conducted by Leonard Friedman. ↑ Eamon Collins, Killing Rage (London: Granta, 1977, ISBN 1862070474). ↑ Hugh Montgomery-Massingberd (ed. ), Burke's Guide to the Royal Family (London: Burke's Peerage, 1973, ISBN 9780220662226), p. 303. ↑ Brian Loring Villa, Unauthorized Action: Mountbatten and the Dieppe Raid (Toronto: Oxford University Press, 1989, ISBN 9780195406795). ↑ Julian Thompson, The Royal Marines: From Sea Soldiers to a Special Force (London: Sidgwick & Jackson, 1989, ISBN 9780283063152). ↑ Villa (1989), p. 240–241. ↑ CBC Archives, Who Was Responsible For Dieppe? Retrieved June 14, 2008. ↑ James Allason, Ringside Seat: The Political and Wartime Memoirs of James Allason (London: Timewell, 2007, ISBN 9781857252231). ↑ United Kingdom Parliament, House of Commons, Hansard: 10 January 1996 Column 287. Retrieved June 14, 2008. ↑ A.N. Wilson (2005), p. 493–94. ↑ Penny Junor, The Firm: The Troubled Life of the House of Windsor (New York: Thomas Dunne Books, 2005, ISBN 9780312352745), p. 72. ↑ Channel 4, The Real Prince Philip, Portrait Gallery. Retrieved June 14, 2008. ↑ Hugo Vickers, Alice, Princess Andrew of Greece (London: Hamish Hamilton, 2000, ISBN 0-241-13686-5), p. 281. ↑ Jonathan Dimbledy, The Prince of Wales: A Biography (New York: William Morrow and Company, 1994, ISBN 0-688-12996-X), p. 204–206. ↑ 14.0 14.1 14.2 Dimbledy (1994,) p. 263–265. ↑ Dimbledy (1994), p. 263. ↑ Lousia Wright, It Is "Clearly a war situation," Time Magazine. Retrieved June 14, 2008. ↑ Stanley Wolpert, Shameful Flight: The Last Years of the British Empire in India (New York: Oxford University Press, 2006, ISBN 9780195151985). ↑ BBC, Sixty Bitter Years After Partition. Retrieved June 14, 2008. ↑ Indian Post,Lord Mountbatten. Retrieved June 14, 2008. ↑ Vickers Hugo, The Man Who Was Never Wrong. Royalty Monthly. November:42 (1989). ↑ On This Day, 1979: Mountbatten buried after final parade, BBC. Retrieved June 14, 2008. ↑ On this Day, IRA bomb kills Lord Mountbatten, BBC. Retrieved June 14, 2008. ↑ The Independent, Malcolm Williamson Obituary. Retrieved June 14, 2008. Collins, Larry, and Dominique Lapierre. 1975. Freedom at Midnight. New York: Simon and Schuster. ISBN 9780671220884. Heathcote, Tony, 2002. The British Admirals of the Fleet 1734-1995. A Biographical Dictionary. Barnsley, UK: Leo Cooper. ISBN 9780850528350. Hough, Richard. 1980. Mountbatten; Hero of our Time. London: Weidenfeld and Nicolson. ISBN 9780297778059. Latimer, Jon. 2004. Burma: The Forgotten War. London: John Murray. ISBN 9780719565755. Roberts, Andrew. 1994. Eminent Churchillians. New York: Simon & Schuster. ISBN 9780671769406. Sidhwa, Bapsi. 1991. Cracking India: A Novel. Minneapolis: Milkweed Editions. ISBN 9780915943517. Terraine, John. 1980. The Life and Times of Lord Mountbatten. New York: Holt, Rinehart, and Winston. ISBN 9780030568992. Wilson, A. N. 2005. After the Victorians: 1901-1953. London: Hutchinson. ISBN 9780091794842. Ziegler, Philip. 1985. Mountbatten: The Official Biography. London: Collins. ISBN 9780002165433. Interaction with German U-Boat U-35 officers. The Mountbatten Assassination: A retrospective. 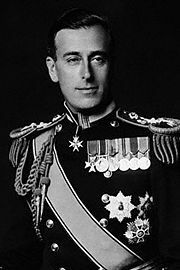 History of "Louis Mountbatten, 1st Earl Mountbatten of Burma"
This page was last modified on 26 July 2018, at 14:16.